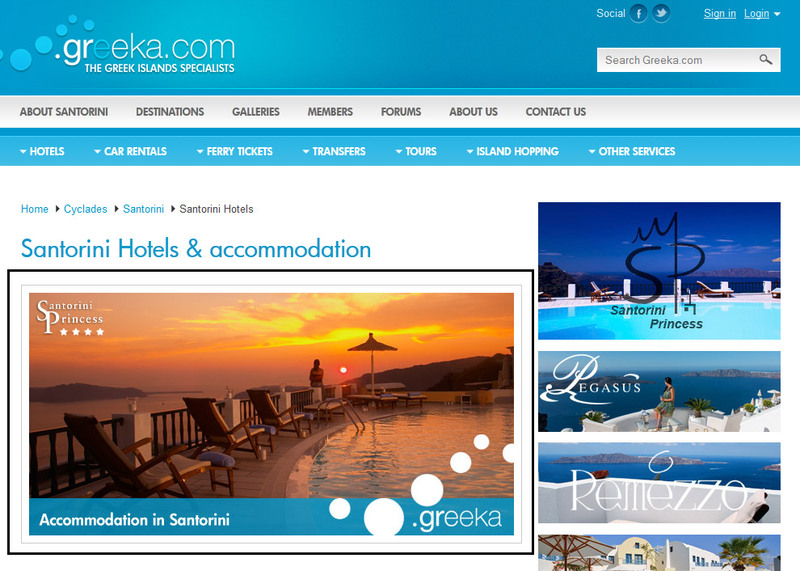 Greeka.com is one of the top web resources in order to organize a trip to Greece and the Greek islands. More than 10 million users visit our website every year. More info about our company. 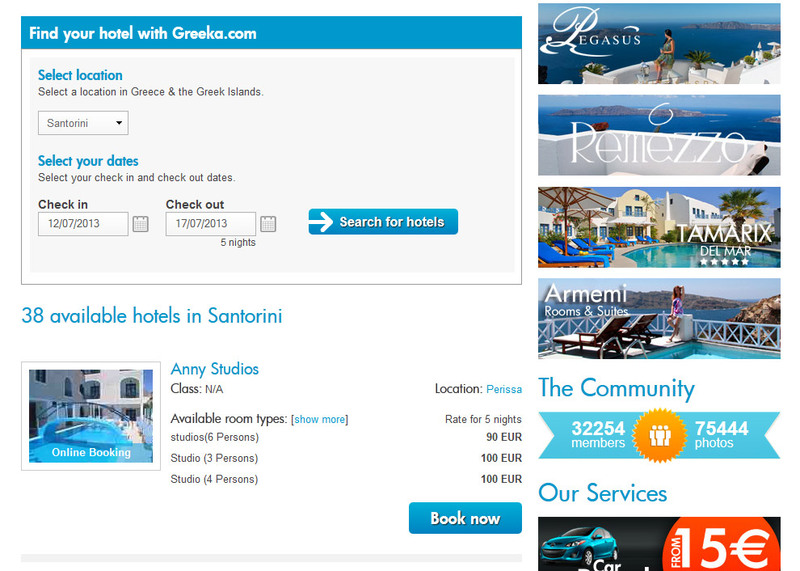 You have a hotel in Greece? 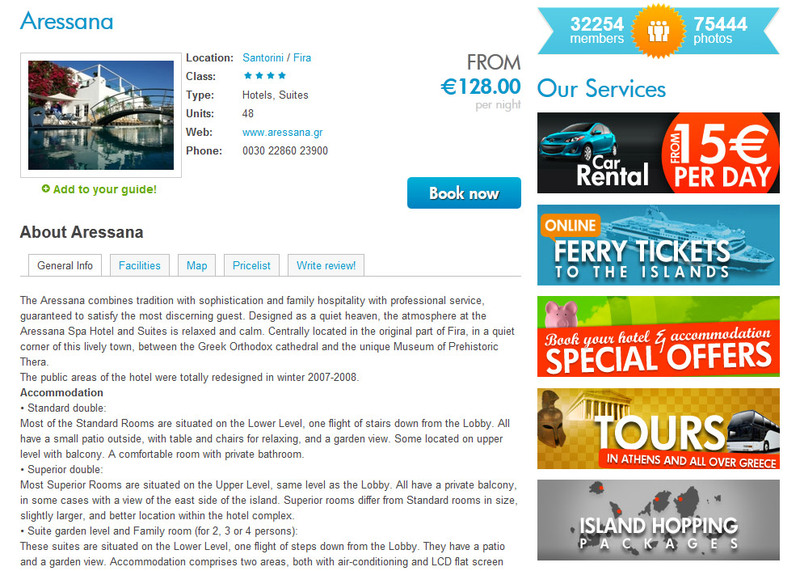 You can have your hotel or accommodation in our hotel lists per island. You can choose between a detailed listing with English text about your hotel, photos, Google map and request form or just a direct link to your website. 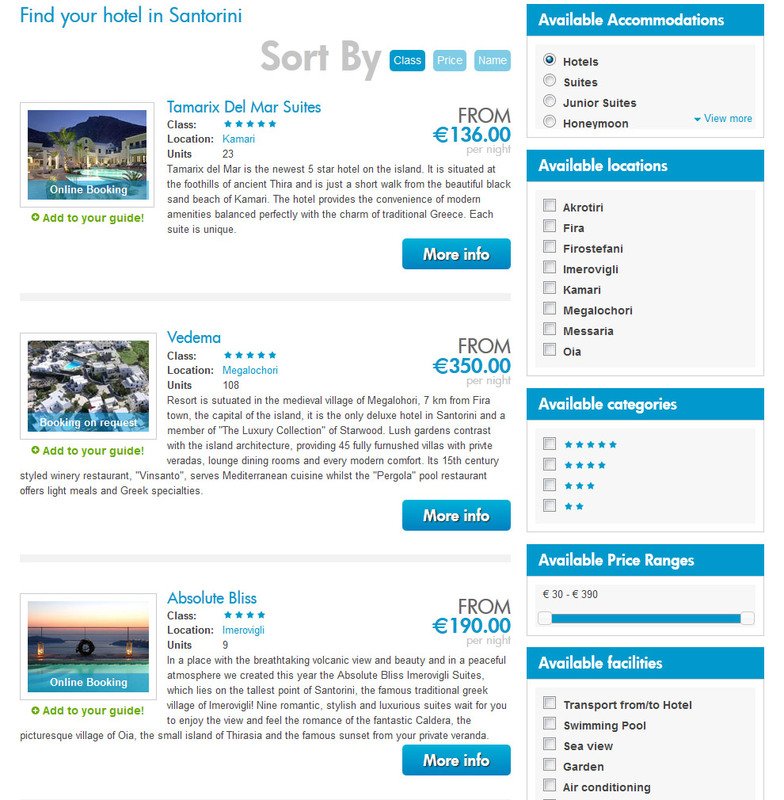 Except from advertising your hotel in the accommodation lists of your island/location in Greece, we will offer you access to some useful tools, including pricelist management, special offers and last minute offers. 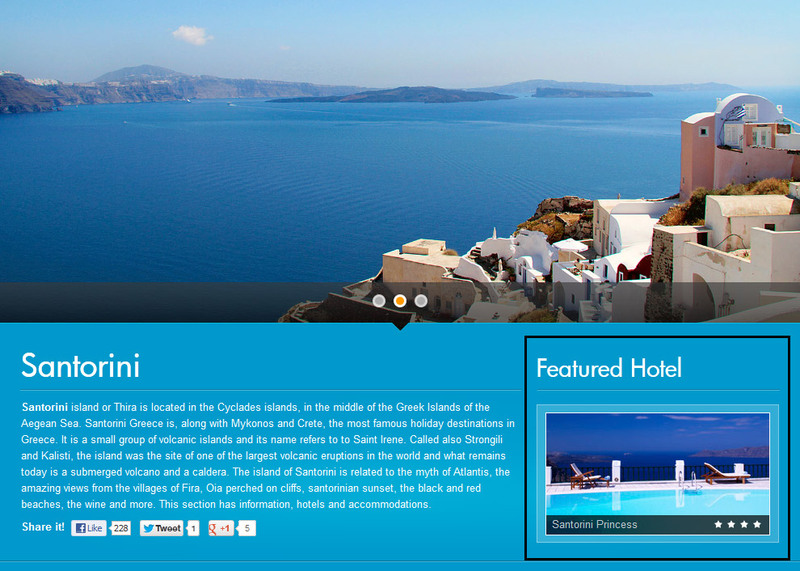 You can also advertise your hotel with banner, the most efficient online advertisement method nowadays. The banner may appear in various ways in our website. Basic banner: Your banner will appear on the right side in all pages of your island/location. Top banner: Your banner will appear in the home page of your island/location. 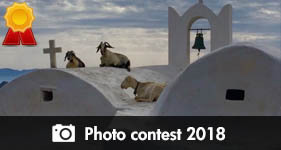 It will also feature as the central photo in the section Hotels and Accommodation of your island/location. Plus it will appear first on the right side in all the pages of your island/location, and in fact your banner will have larger size than the other banners on this side. 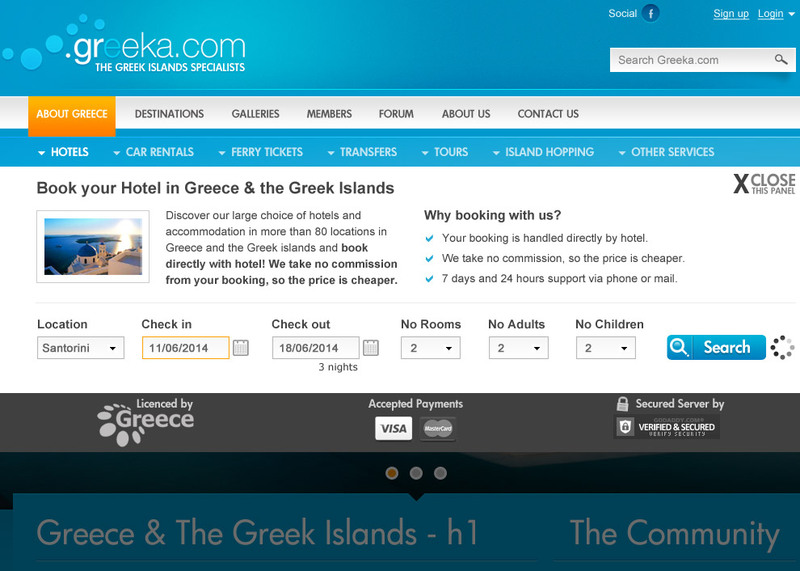 Menu banner: Your banner will appear in the navigation menu in all the pages of your island/location. 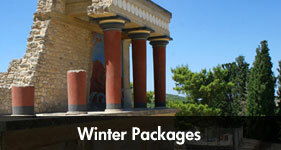 You have another tourist business in Greece? Do you have another tourist business in Greece, such as a restaurant, bar, cafe, watersports center, horse riding center or anything else that a tourist could find interesting? 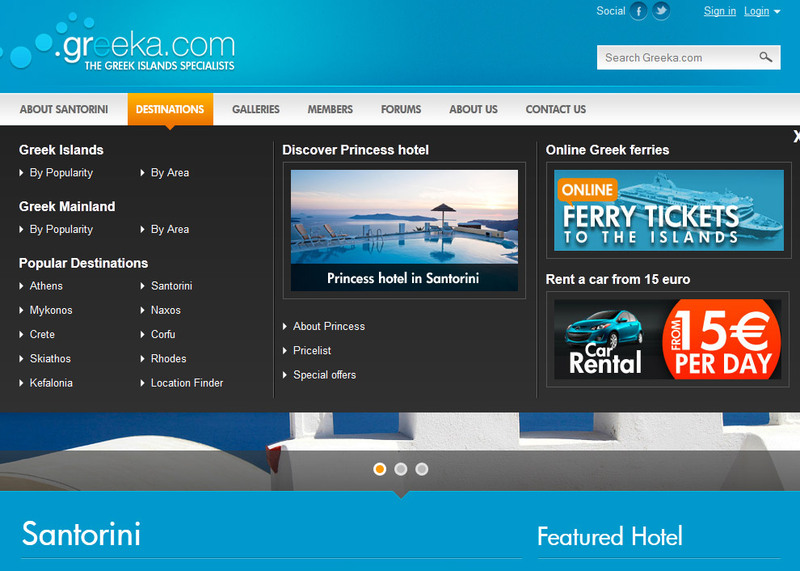 Add your business in Greeka.com and promote it to thousands of visitors.